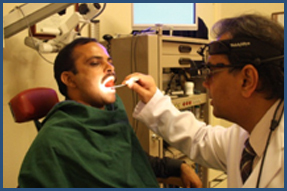 Some of the office procedures carried out in the clinics without pain or the need of an anesthetic. 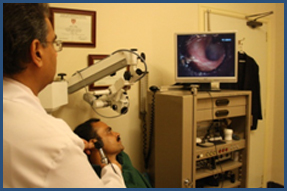 A Nasal endoscopy is being carried out in the clinic. 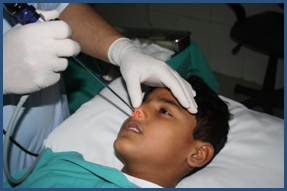 This is a comfortable and a safe procedure which is tolerated by young children as well. The ear drums can be visualized by both the surgeon and the patient which allows the future treatment plan to be discussed more clearly. 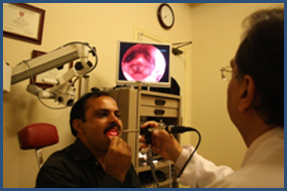 Modern and Up-to-date instruments allow proper visualization of the nasal and oral cavities. The voice box or the Larynx can be seen using the latest telescope system in the clinic without any discomfort to the patient. 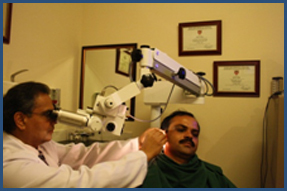 Microscopy of the ears can be done in the clinic setting and can be seen both by the patient on the screen. The ENT office at the Doctors Hospital,Lahore.